The debut of 5G, the next-generation communication systems taking the investment community by storm, is not even official yet, but some ETFs are already benefiting. The 5G rollout is expected to commence in earnest next year, but the buildup of its infrastructure is necessary, which is where investors can take advantage of ETFs like the Pacer Benchmark Data & Infrastructure Real Estate SCTR Strategy (NYSEArca: SRVR). SRVR tries to reflect the performance of the Benchmark Data & Infrastructure Real Estate SCTR Index, which screens components by property type, revenue type and tenant type. SRVR is up 17.42% year-to-date, easily outpacing the largest traditional real estate investment trust (REIT) ETF. While the 5G theme is compelling and potentially durable, there is more to SRVR than just 5G. SRVR components are at the real estate forefront of other booming technology themes, including blockchain, cloud computing and Internet of Things (IoT). “In the case of the Data & Infrastructure Real Estate ETF — a tangential way to invest in the data boom that 5G adoption could generate — those names include data center operators like Equinix and real estate investment trusts involved in wireless communications like American Tower,” reports CNBC. American Tower and Equinix combine for 32.17% of SRVR’s weight. 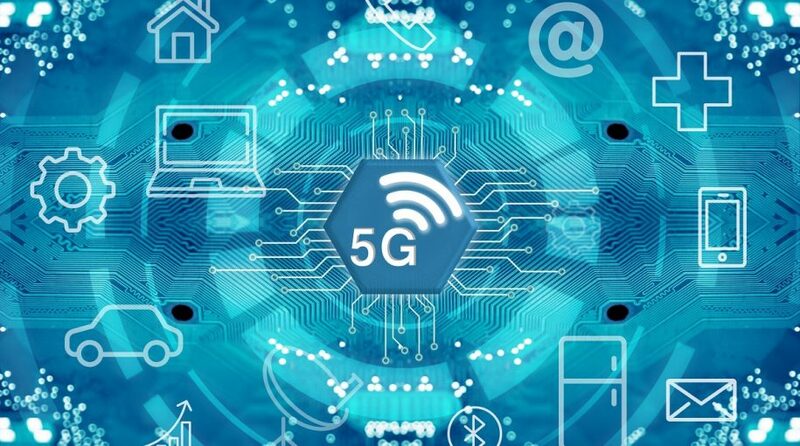 The newly minted 5G ETF (FIVG) from Defiance ETFs, which debuted earlier this month, is one of the first ETFs, explicitly dedicated to the 5G theme. Other ETF issuers are taking different approaches to capitalizing on the 5G phenomenon. For example, First Trust recently revealed that it is reconfiguring the First Trust NASDAQ CEA Smartphone Index Fund (NasdaqGS: FONE) into the First Trust Indxx NextG ETF. The fund will track the Indxx 5G & NextG Thematic Index. The fund will trade under the ticker “NXTR” and those changes are expected to take place on or around May 29.